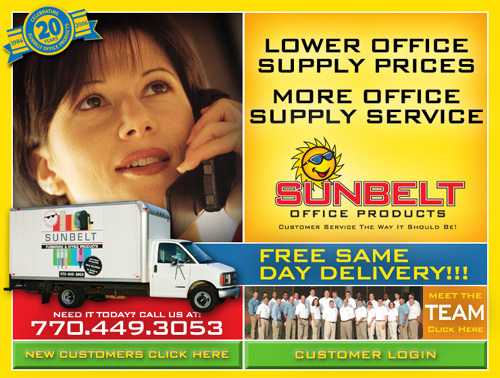 Sunbelt Office Supply - We created this web site compliment the new identity and 20th Year Anniversary for the company. 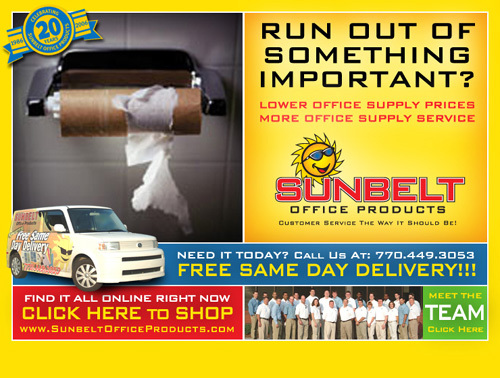 The top image shows the standard web site. 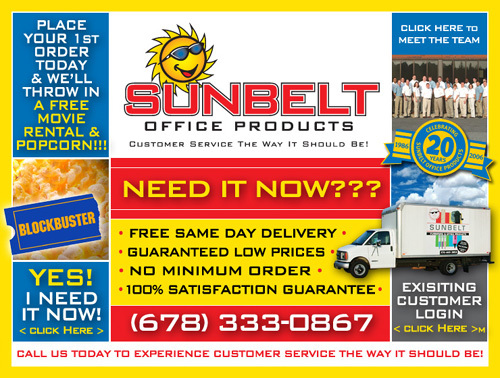 The bottom two images will replace the main splash screen when we periodically run billboards.